NOTE: CASINO PARTIES HAVE ALL THE FUN & EXCITEMENT OF REAL CASINOS WITH NO RISK OF LOSS. NO ACTUAL GAMBLING IS ALLOWED. CLICK HERE for our GAMBLING LAWS page. A casino party fundraiser from Amerevent's TheEventLine.com is a popular and profitable way for charitable organizations to raise money. Every successful casino fundraiser has one thing in common - a good turnout. When people show up, they will spend money and your profits will follow. Non-profit organizations especially enjoy a casino model for fundraising because their benefactors are easily entertained while donating money. A casino fundraiser from Amerevent has the look and feel of a real Las Vegas casino! The main difference is dealers do not accept real currency at the gaming tables. “FUN Money” is used at all the gaming tables in exchange for casino-style chips. Betting limits and chip values are displayed at gaming tables and are determined by your committee. As your guests arrive and check-in, they will receive a pre-determined amount of play money. With our custom decor, we can supply a cashier booth with real casino used cash cart! The amount of the “FUN Money” is determined by the host and supplied by Amerevent. Typically a special metal-inlay $5,000 chip is given to each guest as their "buy-in". The amount of "play" the player receives at the door will directly influence how much money they will spend the rest of the evening. Additional money is raised for your organization through the purchases of additional “play”. You can conduct special "play" sales throughout the evening where you sell extra "play" to the guests at a reduced price. There is usually a raffle ticket that goes along with the amount of money that the guest purchases. Your organization will keep all the proceeds from sales of the “play” sales. Unlike Las Vegas however, no real money is won as a result of gaming. Players become eligible to win door prizes when gaming closes by exchanging their casino winnings/chips for play money or raffle tickets. Prizes would need to be donated for several auctions or drawings at the end of the evening. Everyone, even those who "lost it all" should be given an opportunity to win a door prize even if those players’ who were lucky during the event have more opportunity to win. LIMIT PRIZES TO 1 PER PERSON PER EVENT. The event is about having fun, not winning prizes. The host of the event will exchange winnings for raffle tickets at a pre determined rate. Example - the rate of (1) raffle ticket for every $5,000 in casino chips or $5,000 in unused “FUN Money”. Your committee has the option to change this model to better suit the needs of the organization. Casino Night parties are an excellent way for non-profit organizations to generate revenue. Amerevent has a number of ideas to help you maximize your fundraising potential. Please keep in mind, state and local laws governing charitable gaming vary throughout the country. CLICK HERE for our GAMBLING LAWS page. Amerevent will be happy to discuss with you the various options available to you in your area. Ticket Sales. Selling tickets to a fund raising event is the single most important task in making the event a success. The ticket price for the event can vary greatly, depending on the audience and what is included in the event (e.g. dinner, buffet, open bar, etc.) Providing a discount for advance sales and block sales is a great incentive. For example, if tickets at the door are normally $50 per person, you may want to offer pre-sale tickets at $40 per person or two for $75. Table Sponsors. Sell sponsorships for each of the tables at your party. 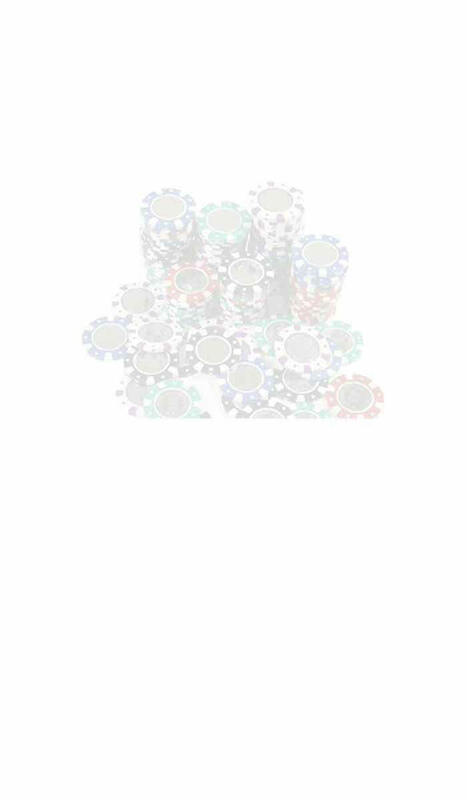 Amerevent Casino Party will provide a 8.5" x 11" clear plastic frames that can be placed on the top of each gaming table to display the sponsor’s name and slogan. The price of the sponsorship will vary based on the organization, the size of the party, and type of table being sponsored. Generally, the Craps and Roulette tables yield a higher price than blackjack and the other gaming tables. For example, Craps and Roulette tables may cost $200 to sponsor and the Blackjack $100. You may want to give the sponsor of a table additional perks, such as extra tickets to the event or additional “Fun Money” upon entry. Table sponsorship is a great source of revenue for your casino party and all of those proceeds are kept by your organization. Amerevent also has a neon message sign that welcomes your sponsors and gives them an “extra” mention! Tournament Play. In addition to the tables open for general use during the event, designate one or two Texas Hold'em tables as “tournament” tables. (Blackjack is another good tournament game that is gaining in popularity.) Players participating in tournament play contribute a donation (say $20) and receive a special metal-inlay $5,000 casino chip to be used only at that tournament table for a specified period of time. At the end of the tournament the player with the most chips is declared the tournament winner. There are many variations to tournament play at casino parties. Contact us and we will be happy to discuss them in more detail. Sale of Additional “Fun Money”. Selling additional “Fun Money” during the event is a great way to generate additional proceeds for your fundraiser. There is no standard price for purchasing additional “Fun Money”—we leave that to the organizer of the event. Providing a discount for large purchases is a great incentive and will maximize the money you bring in. For instance, if a $5 donation entitles a guest to an additional $500 in “Fun Money”, a $10 donation get the guest $1500 and a $20 donation gets a special, metal-inlay $5,000 casino chip! Services available anywhere, even internationally! Contact us at any of Amerevent's locations and we will be happy to discuss the various ways your non-profit organization can maximize its fund raising potential with a Casino Party by Amerevent!